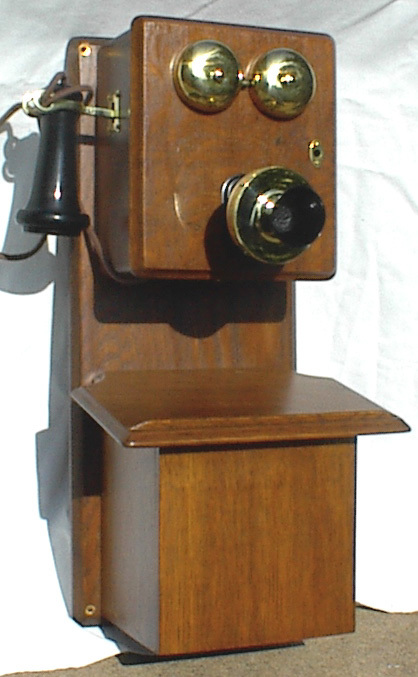 Short 2-Box phone. It has old wood, but new parts, old 3 bar magneto inside for cranking the bells - wired for talk and listen. Someone had made a radio out of it at one time so has a big hole in the bottom of bottom box but there is a copper screen over it and can't be seen once it is hanging on the wall. Cute phone.